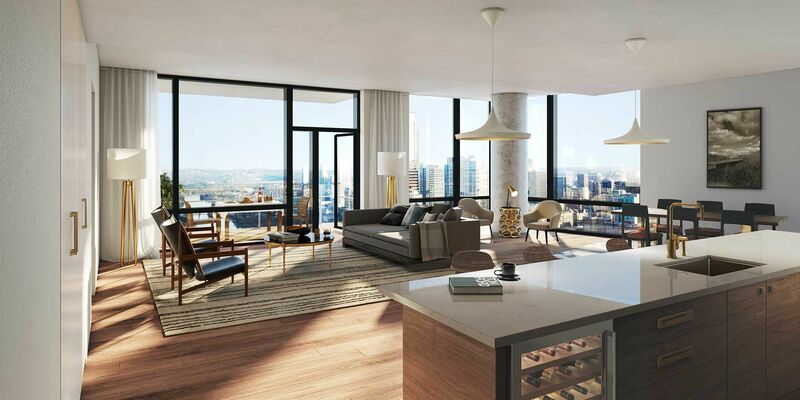 Organic Sensibility Coexists with Contemporary Elegance. Clean lines. Open spaces. Organic appointments. Unquestionable quality. Meticulous attention to detail. Your brand of luxe is holistic and smart. It is the fusion of design, utility, and technology. Faithful to the spirit of Austin. Evolving seamlessly with your changing needs, as you live, vibrantly and adventurously, every day of your life. 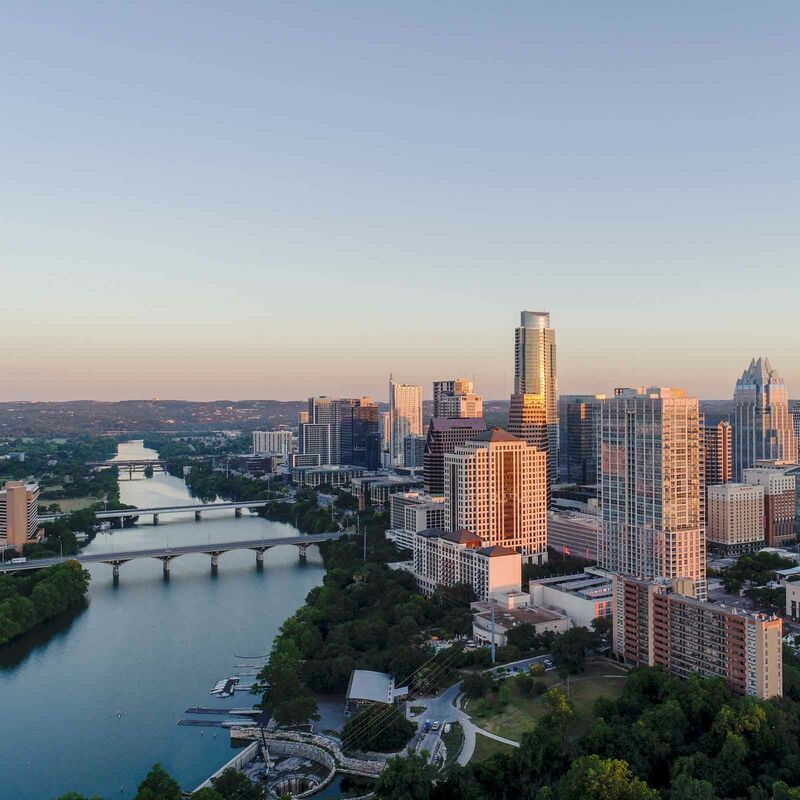 Standing at the Southern bend of Lady Bird Lake, 70 Rainey is uniquely positioned to offer stunning views of Austin's growing skyline and the lake. 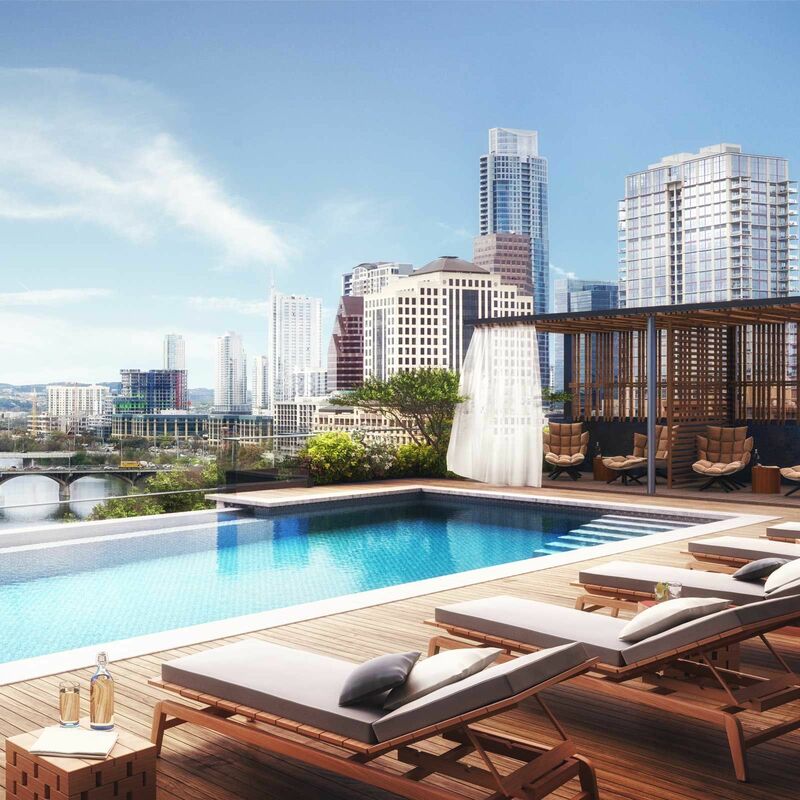 This unmatched vantage point is futher emphasized by the tower's 14-degree twist, ensuring residents a front-row seat to all that is Austin. Keep an eye out for our hospitality announcements! LEED Silver-registered construction. Austin Energy Green Building 3 Star.